« What other nearby town has a parking crisis? It’s Red Bank downtown. Seaside Heights. 2013. Paul Goldfinger photo ©. Click for the double dip. 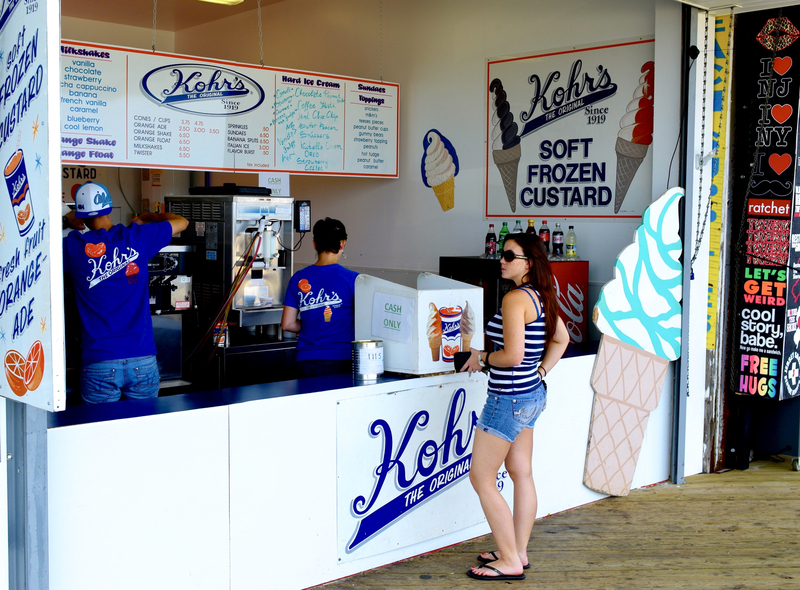 I remember back when Kohr’s frozen custard was still scooped, not dispensed. It was still soft and creamy, and the flavor combos were wonderful. They had a buttered almond that was to die for. The almonds were salty! The choco-chip mint was delightful as well. Editor’s note: Grover–an icy reminiscence on your part. I suspect you are making everyone wish that Days was already open. And don’t forget, while you are drooling over the ice cream, there is another tasty dish in the picture.